Dear friends of marketing, we are happy to announce that our blog will be receiving some extra layers of pluck and content, starting today. “Influencer marketing” is not just a string of buzz words. It should never be. Businesses and people with credibility online (aka influencers) are teaming up more often than ever and reaching consistent results. The trends and ambitions associated with influencer marketing are starting to get a lot of traction everywhere. 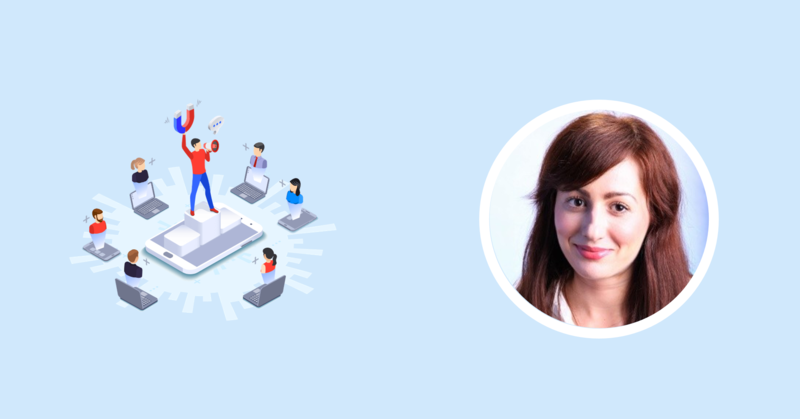 Alina Ignat is Brand Manager at VIVRE, an online platform selling home & decor products across 9 countries: Romania, Bulgaria, Hungary, Croatia, Greece, Poland, Slovakia, Slovenia and The Czech Republic. Recently, under her guidance, VIVRE has just completed their first influencer marketing campaign via the new 2Performant influencer marketplace. The campaign was rolled out simultaneously in Romania and Bulgaria. According to Alina, the results were exactly what they hoped for and the influencers delivered quite creatively and on brief. So here we go. 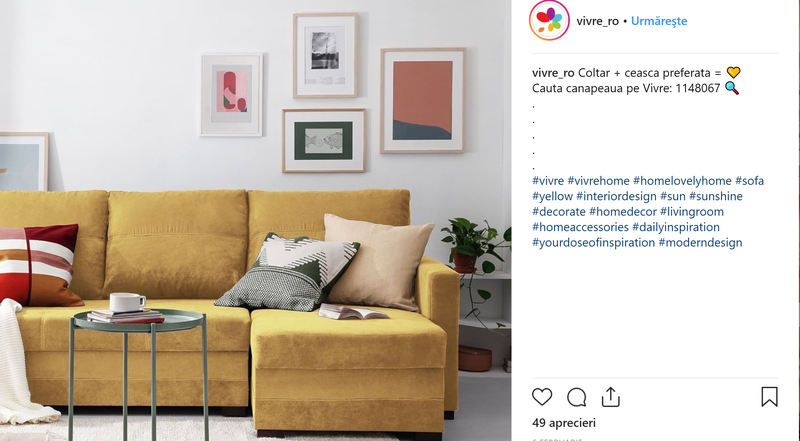 An honest dialogue about campaigns, types of content, social media and Vivre’s first marketing campaign with influencers by its side. For the Romanian version of this interview, click here. Also, if you’re curious about what “the other side” had to say about the VIVRE campaign, step right up – we’ve interviewed two influencers that took part in it as well – Stefana & Yanitsa. Alina, you have experience in working in the banking sector, as well in the digital industry. How has this experience helped you in your current role as Brand Manager at Vivre? In a bank, all processes are oriented towards results and being efficient. Each action has to have a clear scope, a structure and a highly rigorous organization system. I have had the chance to work with colleagues and partners all across the world and to understand how suppliers of all sizes work – from market analysis & contracts negotiation to procedures and timelines. The experience in Digital has helped me to get acquainted with the rhythm and environment in which Vivre operates. We are an online platform operating in 9 countries, across a market of more than 100.000.000 people. Therefore, the agility & capacity to innovate or to adapt to the requirements of this market are an absolute must. What would you say are the biggest challenges of such a role? Well, the challenges are related to the entire business, not just my particular role. They consist of understanding the clients, getting precisely to where they are and offering them the best experience possible. Vivre is much more than a home & deco online store. We are a consultant and a curator for beautiful products that we offer through daily collections, as well through tens of thousands of unique products (belonging to over 5000 brands) that can be found on our website. All homes have that little something you like. At Vivre you can find the things you can fall in love with, the ones that perfectly match your style. They love all that is beautiful; they want special objects in their homes, objects that have a certain “je ne sais quoi”. How do you communicate with your followers? We generally communicate digitally, through our own platform, but also via social media, ads, TV or online & offline publications. The content that usually works best is the contextual one. That is the one that helps our clients imagine how a couch or piece of decoration would look in their own home: images, videos, décor suggestions. The campaign on 2Performant was planned as a sort of replica of what the Vivre platform is all about – a place where you can find color and inspiration that matches any personality. We invited influencers to match their styles with Vivre’s style, which in fact can easily be anyone’s style: optimistic, rebellious, edgy, dreamy, experimentalist, modern. Each influencer got to choose their own furniture item or décor object matching their style. Then, each of them took a photo of themselves wearing an outfit that would in turn match the product chosen. Last step was publishing it on their Facebook or Instagram accounts. How would you describe the experience of searching and communicating with the influencers on through the 2Performant platform? 2Performant is an extremely intuitive and well structured platform – it was in fact so easy to use that we only needed minimal guidance to get things done. The advantage is it enables us to manage the relationships with our influencers in a single place. One has permanent access to the campaign brief, deliverables, budget, messages and can adjust the campaign as they go, with just a few clicks. The campaign was live in both Romania and Bulgaria simultaneously. Any notable differences in the results? In our experience, Romania and Bulgaria are two similar markets, both content & social media and consumer-wise. This is the conclusion we reached following the campaign. All influencers have been creative and spent time generating all kinds of materials, while at the same time staying true to their personalities, not their passports. What have you learnt from this campaign? Seeing as it was our first campaign that we ran through the 2Performant platform, we have had to deal with a completely new way of doing things; but it was really easy. This was a process that normally took more time and involved several more steps. Also it would have been more difficult to track and measure. But working with 2performant has helped us make our work easier. Can you pick for us 2 of the influencers’ posts and discuss them a bit? Honestly no 🙂 Each and every one of them was unique and represents the style of the respective influencer. And this is exactly what Vivre is all about: various ways of expressing yourself. Granted, “best” is a relative term here, but can you name the best influencer for this campaign? Yes, like you said “best” is relative. There were influencers with a higher reach, others with a better engagement. Every one of them had authentic and representative content. We looked for partners that would understand and appreciate the Vivre brand and we loved the fact that they were open and asked a lot of questions. Mainly, we measured views and engagement on our own social media channels and discovered very good results. Bottom line: how did this help the brand? The campaign helped us in diversifying our content and reaching a target we wouldn’t have normally reached. We are not sure yet how our next campaign will look, but we will be sure to test different mechanisms in the future, set benchmarks and measure results through every approach. Influencer marketing. How important would you say it will become for brands worldwide, in the next few years? It will continue to grow in importance, mainly because an increasing number of opinion leaders are choosing to work with brands they trust, while consumers base their purchase choices on influencers’ recommendations. We choose to work with influencers whose content is well aligned with our brand vision and we prefer to reach a smaller but better targeted group of people. What are some trends we should be on the lookout in 2019? Mega-influencers aside, I expect that more and more brands will want to work with micro-influencers with whom the public can resonate in an authentic way. This type of influencers can reach niche consumers, so it will be interesting to see a mix between high reach and increased engagement. Brands will also try to nurture such long-term partnerships with influencers that communicate and have the same values as the brands themselves. Also, let’s not forget video content, which will continue to grow and deliver better and better, while brands will want to cooperate with influencers on Facebook, Instagram, YouTube or other social networks that are a bit more niched.